I love Keith Harring. Maybe it was my growing up in the 80’s that have left me forever influenced by his style. Recently while thumbing through a coffee table book I came across his pottery. I don’t think he ever got down and dirty throwing on a wheel, but he did put some amazing doodles down on terra cotta. these designs were in the inspiration for this DIY Boho Sand Vase I created for Activa Products. Pop over to their website for the full tutorial. 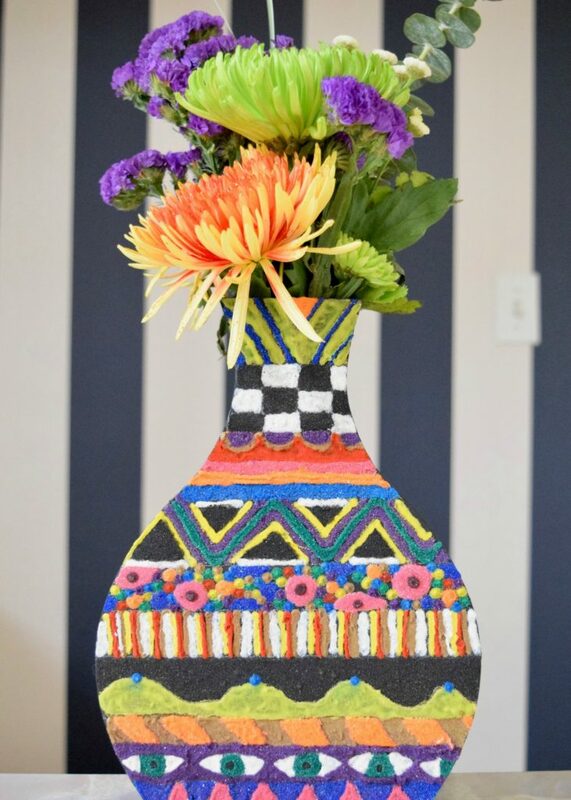 Full Disclaimer I was paid and given free sand to make this vase, but really I love kitschy colorful crafts, Keith Harring and as always all opinions are my own. Want more sand-spiration? Sure you do. 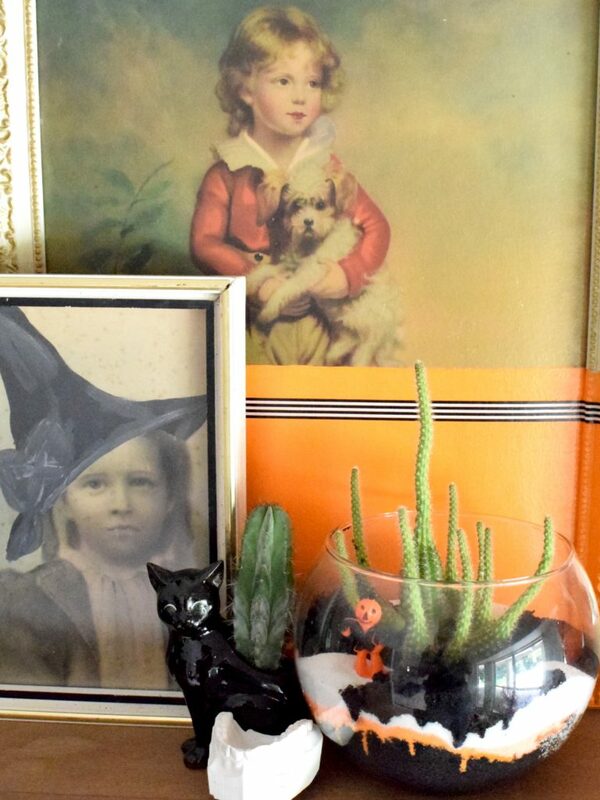 Halloween might be over (tears) but that does not mean this sand terrarium idea can’t transfer to fall, Christmas or all year long. This cutie was part of a Halloween Horticulture series on DIY Network. 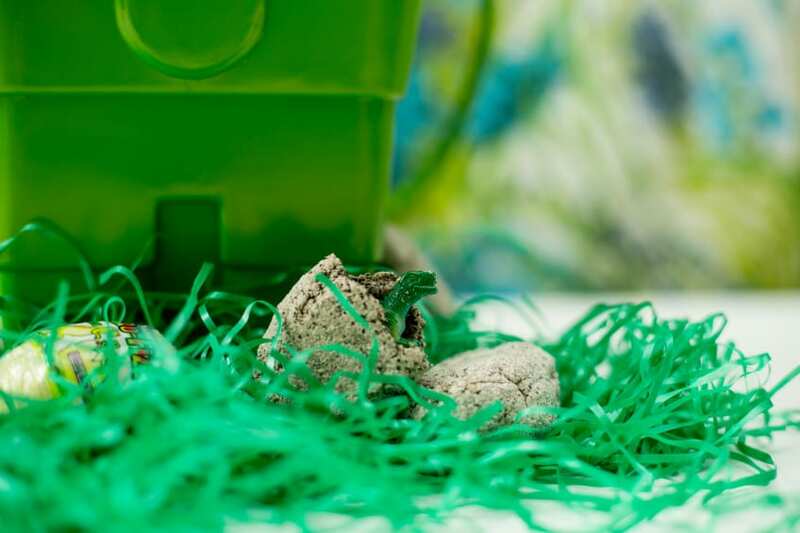 I made these adorable DIY Dinosaur Eggs for a post on Easter Baskets over on DIY Network, but wouldn’t they be cute in Christmas stockings? Did I mention you need sand to make them. Side Note: you give adults gift baskets nothing says you can take a dinosaur basket to the next kids party you attend. Another sandy option is mixing it with glue and making a bowl. Yup, it’s totally doable. Trust me, I know. 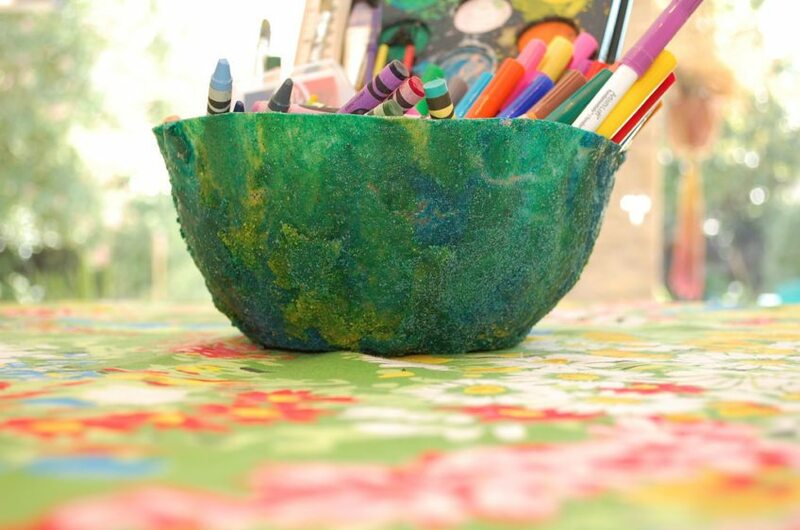 Check out the full tutorial for making your own sand bowl PLUS over on I Love to Create I’ve got a tutorial for dying your own sand. 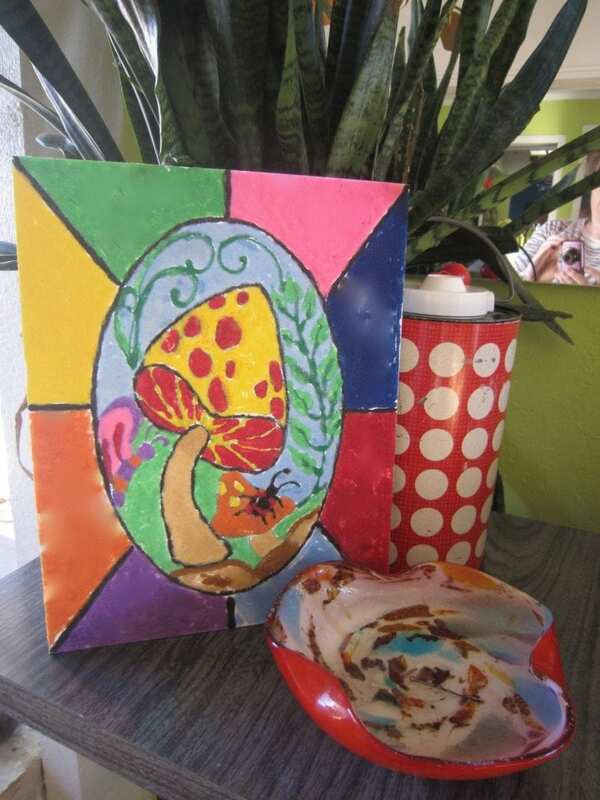 Another sandy option is this amazing Peace, Love and Sand Mushroom Painting. Yup, think Paint by Numbers – but with sand! What have you made with sand? I feel like it’s often an overlooked option in the crafting world. Not only does it come in amazing colors (plus you can make your own colors) it adds texture and dimension. Now I feel inspired to make something else with sand. Hmmm…. Posted November 2, 2016 & filed under Crafts, Home Décor Crafts.